Writing this post made me bring back old memories of our first PLDT telephone. While we were not the first house to have telephone along R. Castillo back then, our first phone was ever worth remembering – who can't ever forget that black rotary dial phone. Eventually, we had our first home internet connection with PLDT DSL. Remembering that dial-up internet access sound right now, made me feel nostalgic, yeah, those were the days. And with all these smart phones, easy access internet we are using now, I just realized, thank God, I was one of those who experienced how it’s like to nurture fortitude waiting seconds even minutes to dial each number and to connect to slow-poke internet back then. I can’t count anymore how many times we’ve replaced our phone units. Now we have pocket wifis, telpads, smart watch etc. and this beautiful Regine Series phones, in which I still I don’t have – but would love to have. That cordless one is super handy! 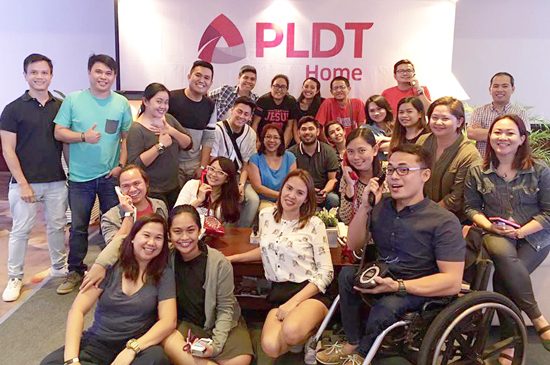 It’s a remarkable experience to be one of those who journeyed with PLDT from that analog phone to the now - country’s leading digital and multimedia services provider. 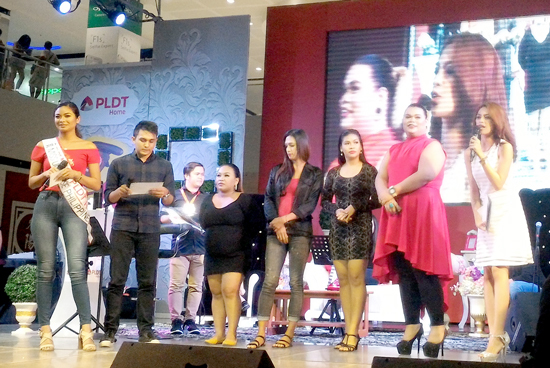 Today, PLDT Home celebrates this success by giving it back to its valued subscribers. And what can be more awesome than kicking it off along with Davao City’s celebration of the 31st Kadayawan Festival. 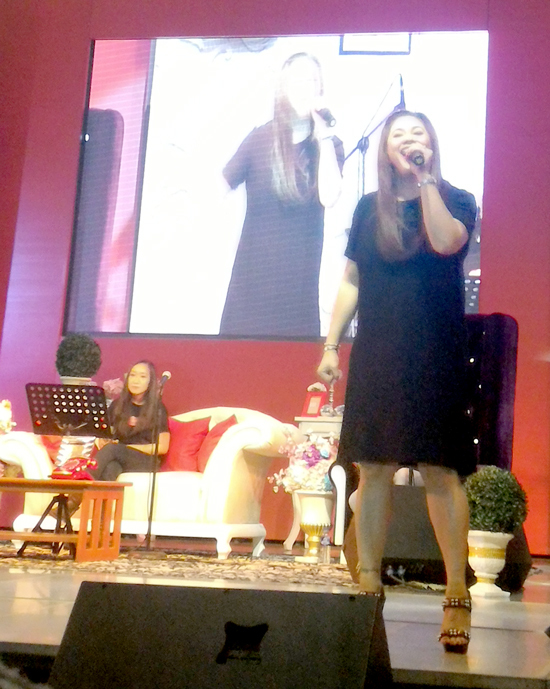 PLDT Home brings Regine Velasquez Alcasid, PLDT Home Ambassador to Davao for a mini concert, dubbed The Regine Series, as a way of thanking Davaoenos for making PLDT Home number 1. 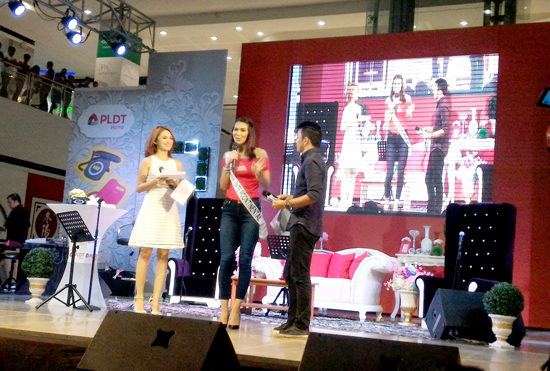 Thank you PLDT Home and Ms. Jojie Alcantara for inviting us. Yay! Second row view was awesome! Smart Home devices were also featured. Fam Cam, the smart home monitoring system. keyboard. The Smart Watch and Telpad that is powered by PDLT Home Fibr. 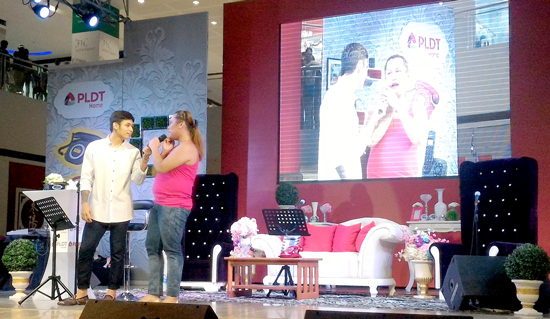 Then came Michael Pangilinan and Janelle. Imagine life without a little break and a stage without these two, might be sad. God, I died laughing! One of my best afternoons! Michael Pangilinan and Janelle rocking the stage. I swear, I never regretted I came, Kalingaw! 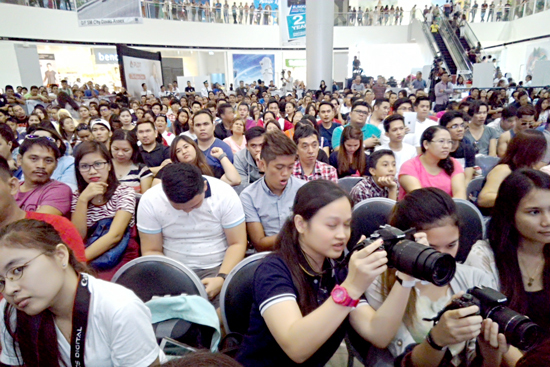 Contestants of the Regine Sing-Alike Contest. And then came Regine Velasquez-Alcasid. She's the same powerful Asia's Songbird I know from years ago. Still Reigns! Walang Kupas! 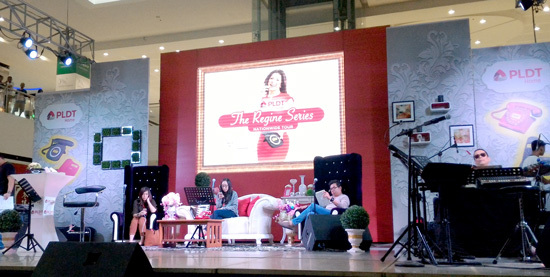 Songs from yesteryears by Regine. Songs that everybody knows and everybody sings, how cool! 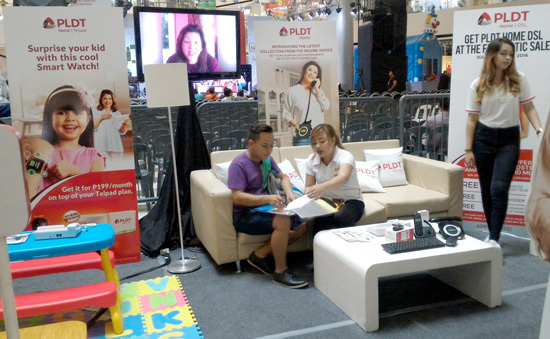 PLDT Home DSL Booths were also set up. But they're practically all over the malls here in Davao. It's a convenient place where interested subscriber can avail of the latest fantastic sale with the best broadband deals. This include free installation of wifi modems and home bundles that features 10Mbps of speed and a free 4G Smart Bro Pocket Wifi for only P1,599/month. And the fun wasn't over yet! Davao Digital Influencers' (DDI, Inc.) members and media friends were treated to a night of Thanksgiving, raffle and fun at Marco Polo Hotel Davao. 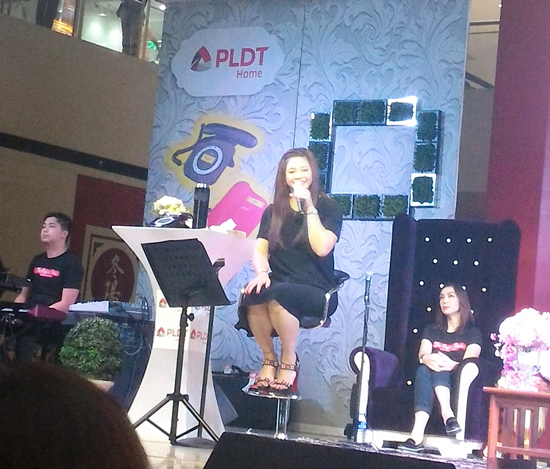 We had a chance to meet, greet up close and personal, PLDT Home ambassador, Ms. Regine Velasquez-Alcasid. Mr. Gary Dujali, PLDT Home VP and Marketing Director with Regine Velasquez-Alcasid. "As the Philippines' leader in digital innovations and multimedia content offerings, we want to make sure that our services and products are available to all Filipinos around the country. 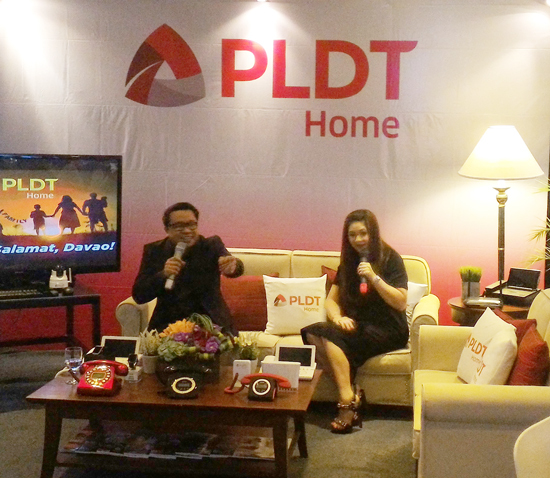 Davao is among the first to experience the dawn of the smart HOME powered by PLDT. This is our way of showing gratitude and honoring Davaoenos for making us number 1 in their homes. " Mr. Dujali disclosed. A toast of thanksgiving and to a fruitful year. 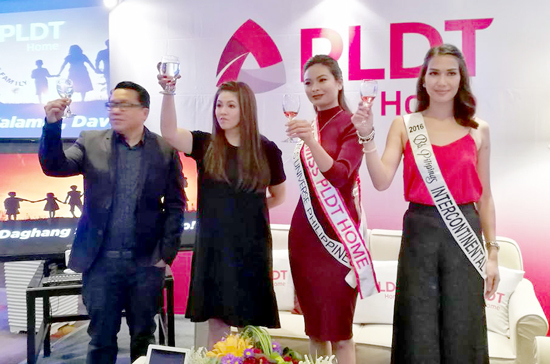 (L-R) Gary Dujali, PLDT Home VP and Marketing Director | Regine Velasquez-Alcasid, PLDT Home Ambassador | Ms. Maxine Medina, Bb. Pilipinas Universe 2016 and Miss PLDT Home | Ms. Jennifer Hammond, Bb. Pilipinas Intercontinental 2016.
at PLDT Home Regine Series Thanksgiving Night. Salamat kaayo for the support!